Macy’s (NYSE:M) second quarter results, reported on Tuesday, indicate that its positive catalysts remain intact. Investors should buy M stock, as these catalysts should continue to boost its results going forward, while its valuation is extremely attractive and lower than that of many brick-and-mortar retailers. The sharp drop in Macy’s stock on Wednesday was irrational and has created an extremely attractive entry point. Macy’s top line and bottom line beat consensus estimates by a significant amount, and its comparable sales, adjusted for calendar changes, jumped 2.9% year-over-year. Moreover, Macy’s expects its comp sales to rise 2%-2.5% in the second half of this year, and it raised its full-year EPS guidance range by 20 cents at both ends to $3.9-$4.15. The retailer said that several of the potential catalysts I named in a previous column contributed to its better-than-expected results. The new loyalty program which I noted appeared to be “resonating with core customers” created “a meaningful positive change in behavior at the platinum tier, which are our best customers,” according to Macy’s CEO Jeff Gennette. The company’s digital business posted “double-digit growth” and had a strong July, while its backstage discount stores “will bring new customers into the brand,” Gennette reported. Finally, Macy’s Growth50 stores, which involve, as I noted previously, “implementing many new initiatives, which were previously successful in tests, at 50 of its stores,” led the improvement at the company’s brick-and-mortar stores. Additionally, Macy’s reported that customers’ satisfaction levels were much higher at its Growth50 stores than at the rest of its brick-and-mortar locations. Other positive catalysts I identified (i.e., store closures by Macy’s competitors and the intense loyalty of its core group of shoppers) undoubtedly boosted its results. All of the catalysts I’ve named in this column should continue to lift Macy’s results and Macy’s stock going forward. 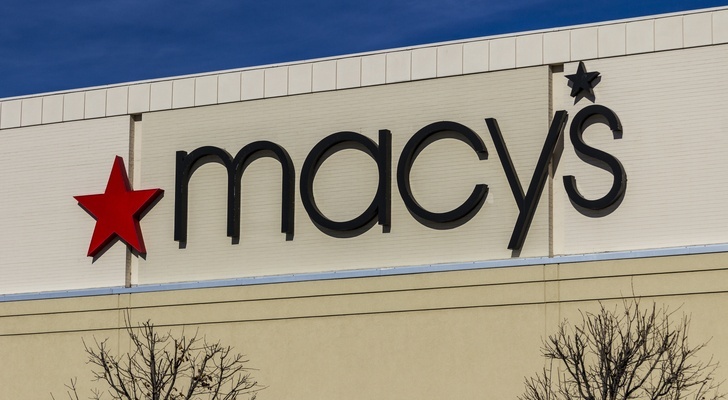 According to Gennette, Macy’s will implement Growth50 initiatives at additional stores in 2019. Since these initiatives have proven to be successful, adding them to more stores should boost Macy’s results and Macy’s stock next year. Macy’s did not discuss its plans for Story, a company which it acquired in the first quarter and that, as I pointed out previously, “specializes in creating unique experiences and themes in stores which change every few weeks.” However, Story should attract many millennials and older novelty seekers to Macy’s stores, thereby boosting Macy’s results and Macy’s stock. Furthermore, Macy’s should continue to benefit from stronger consumer spending power and strong spending by foreign tourists as the U.S. and global economies continue to strengthen. In the first half of this year, Macy’s sales to international tourists surged 6% year-over-year, the retailer noted. Following Wednesday’s pullback, Macy’s stock is trading at bargain-basement levels. The shares are trading at a price/earnings ratio of less than nine, based on the midpoint of the company’s 2018 EPS guidance. Moreover, the price/sales ratio of Macy’s stock is just .43, and its enterprise value/EBITDA ratio is around 6.3. By contrast, Kohl’s (NYSE:KSS) has a forward price/earnings ratio is 13, and its price/sales ratio is 0.65, while Target (NYSE:TGT) has numbers of 15 and 0.6, respectively, and Walmart (NYSE:WMT) checks in at 20 and 0.6. As Macy’s initiatives and its other strong positive catalysts continue to boost its results, many investors will realize that they were wrong to value Macy’s stock significantly lower than those of other brick-and-mortar retailers. When that happens, Macy’s stock will rally significantly. Consequently, investors should buy M stock at current levels. As of this writing, Larry Ramer did not own shares of any of the aforementioned companies. Article printed from InvestorPlace Media, https://investorplace.com/2018/08/macys-stock-has-multiple-positive-catalysts-and-is-undervalued/.